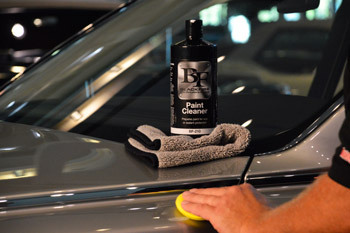 To use BLACKFIRE Paint Cleaner by hand, apply a nickel-size amount onto a microfiber or foam applicator and wipe onto the paint using a circular motion until a haze starts to form. Remove immediately using a microfiber towel. Apply and remove to a small section at a time. 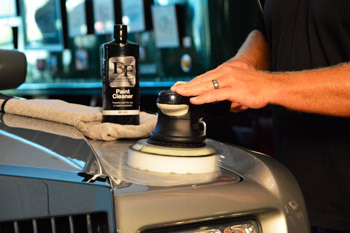 To apply with a dual-action or rotary polisher, use a finishing or polishing pad at medium speed. Work a small section until a haze starts to form and buff off to a brilliant shine using a microfiber towel. Related Items - BLACKFIRE Paint Cleaner 128 oz.